Nucl. Phys. At. Energy 2016, volume 17, issue 3, pages 240-249. Received: 10.05.2016; Accepted: 19.10.2016; Published online: 13.12.2016. Abstract: Analytical formula for the equation of the neutron scattering for isotropic neutron source, which includes the temperature of the moderating medium as the parameter, was first obtained in the given work in the framework of gas model of the medium. The obtained equation of the scattering is based on the solution of the kinematic problem of elastic scattering of neutron at the nucleus in “L”-system in general case, when before the scattering not only neutron but the nucleus also have the arbitrary velocity vector in “L”-system of coordinates. The neutron flux and moderating spectra depending on the media temperature were found for this new equation of the scattering. Obtained expression for the moderating neutron spectra allows the new interpretation of the processes, which determine neutron spectra in the thermal area. 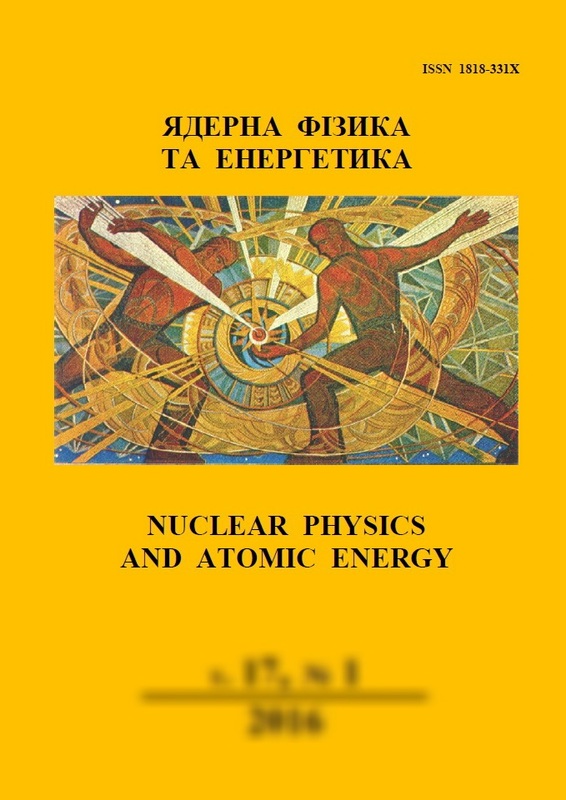 Keywords: slowing down theory, neutrons, nuclear reactors, medium temperature.